When working with cryptocurrencies, you’ll frequently need be convert values. Here are some online tools to help you with this, each tool has their own features, strengths and weaknesses. If there’s a tool you use and like, please feel free to let us know. It’s a quick way to get to the exact conversion you’re after. 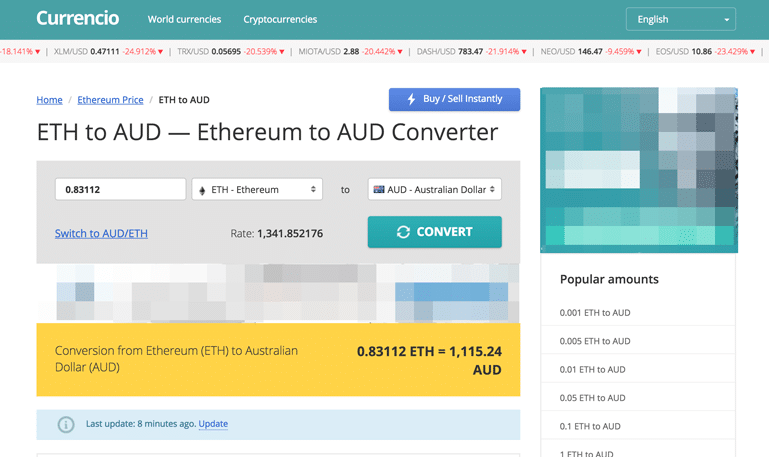 Cryptonator is very nicely designed and supports AUD (you need to search, it’s not listed at the top of the list). 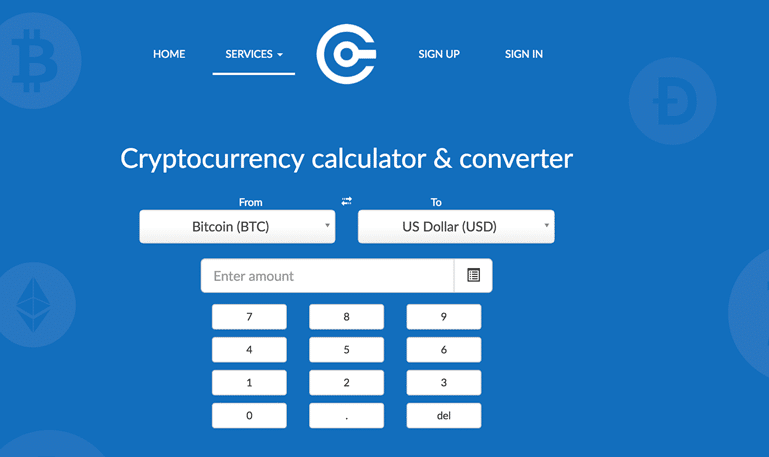 They also offer widgets you can embed on your own site, in fact, it’s what we’re using here in the sidebar at Crypto.com.au! 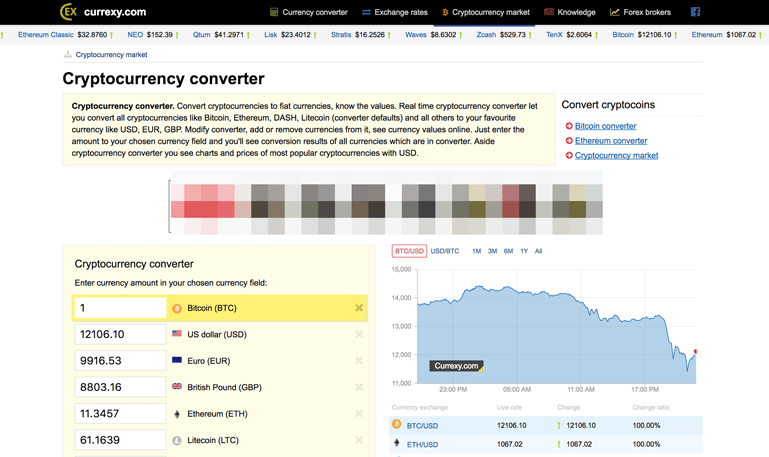 When you first see Currexy you’ll notice it supports a wider variety of options than some of the more basic currency convertors. They also offer a useful reference graph to see a handy visuals of data trends.